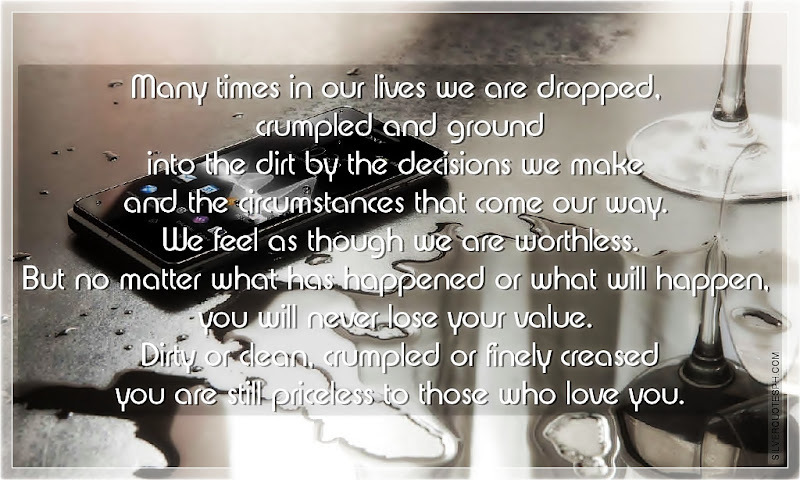 Many times in our lives we are dropped, crumpled and ground into the dirt by the decisions we make and the circumstances that come our way. We feel as though we are worthless. But no matter what has happened or what will happen, you will never lose your value. Dirty or clean, crumpled or finely creased you are still priceless to those who love you.